Have you ever wondered why some people are rich and some poor? You may think it’s the luck of the draw – the family you were born into, the country you live in, the abundance or lack of good jobs. Yes, these can be factors, but the difference between being rich or poor primarily boils down to one thing. Are you continually poor and struggling to find enough money, looking at rich people and finding it unfair? Or even someone with a good amount of money and wondering why some people struggle to get the money they want when you find it quite easy? Instead of blaming conditions and circumstances as to why some people are rich and some people are poor, consider your state of mind – or rather what type of mindset you have. Our beliefs are very powerful and can steer our lives in the direction of what we firmly think about. If all you’ve experienced is being poor, then you are likely to continue to have a belief that you will remain poor. On the other end of the spectrum, if you’ve always been rich, you’re more likely to have a belief that you will stay being rich. It’s all about whether you have an abundance mindset or a lack mindset but what are the differences between these two powerful mindsets when it comes to our money situation? Here I’ll discuss the key differences between an abundance mindset and a lack mindset and how this affects your success with money. Poor people tend to have a more skeptical view of things. They have a belief that people are out to get their money or rip them off. Do you find you constantly think “I’m not paying that much!” believing that a company is being greedy by pricing something that high? 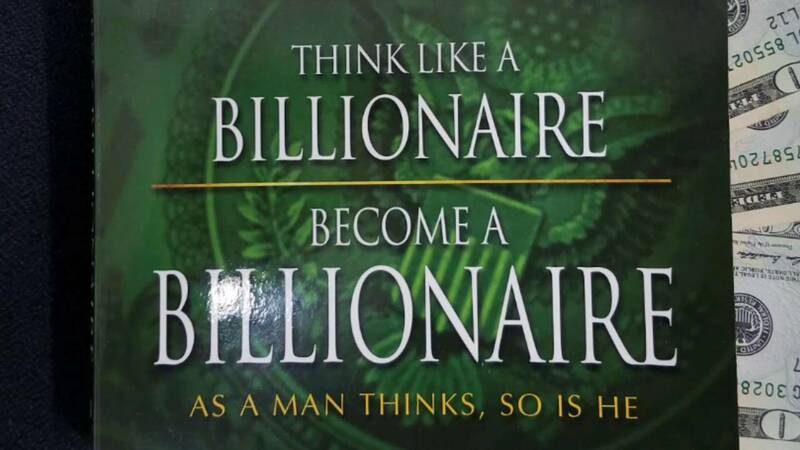 This mindset is coming from a space of lack – lack of money and grudgingly parting with what ‘little’ you have. The focus is primarily on lack. Rich people are more likely to have a more trusting viewpoint on many subjects. They are more trusting of people, non-skeptical of people’s motives and parting with money. 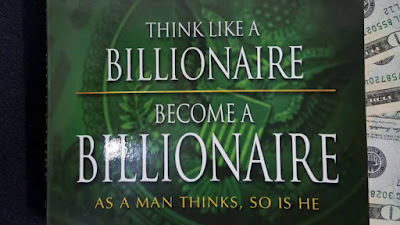 Yes, this is easy if you have more money, but it’s down to the abundance mindset and not focusing on losing something but rather gaining regarding what you’re buying. Poor people generally have a negative mindset when it comes to all areas of life – not just money. They look for the problems rather than the solutions and use these to blame for their circumstances e.g. where they live, the government, not enough jobs, or just other people and their actions. Excuses about why they’re not successful i.e. creating problems, not solutions, is a common mindset. Rich people, even if they grow up with negative circumstances, are more likely to see it as a chance to take responsibility and do something about it. They accept that life throws obstacles in the way but it’s up to them to find a solution and not turn it into a reason not to succeed. When working in a job, poor people are more likely to separate themselves from the job or company they work for. Creating a ‘them and us’ perspective means you’re essentially not taking responsibility for your role and your role in the company as a whole. When a complaint arises that a service is taking too long, it’s easy to say “it’s because they don’t employ enough staff” being quick to blame and separate from responsibility. When you have a ‘we’ mentality in a job role, you are showing investment and commitment. It’s about showing your belief in something or someone which spreads trust and investment from others. Would you rather give a tip to a waiter who apologized on behalf of the restaurant or someone separating themselves from the problem who began pushing the blame onto the middle-management? Making assumptions can be very harmful and keep you in a lacking state of mind. Poor people are more likely to give up because of these assumptions e.g. thinking “I doubt there are going to be any good jobs in this area, so there’s no point in looking” is immediately cutting yourself off from possible opportunities. Lack of questioning and research keeps you in the same poor situations. On the other hand, the habit of questioning will give you more opportunity to succeed. Thinking ‘what if’ is very common in people who are rich and successful – “what if I ask around about possible jobs?”, “what if I just send an email to the recruiting department in case they have an opening?”. They see possible potential in everything rather than shutting it down with negative assumptions. Poor people will believe their life will ultimately be better if they work more hours for more money. But they are trading precious time they’ll never get back for a few extra dollars. Their focus is more on lack of money and having to compensate through extra work rather than focusing on the quality of time they have. Rich people are more likely to focus on the importance of time over money. They see experiences as important to their quality of life and worry less about earning that extra paycheck. Their jobs are more centered around enjoyment of what they do rather than focusing primarily on the money they’re earning. Complaining and criticizing is a common trait in the mindset of someone who’s poor. This has most likely come from embedded beliefs passed down from generations – seeing the majority of things as wrong rather than right. They are more likely to see things from a negative perspective rather than a positive one. An attitude of gratitude is a healthy mindset that promotes abundance. Counting your blessings and not taking anything for granted brings more of what you appreciate into your life – including money. This is a common mindset of successful people in all areas of their life. Poor people are more in competition. This means they see what other people are doing and emulate them. The problem with this is that they never think of a different way of doing something, creating the lack of growth and outside-the-box thinking that brings success. Successful people see themselves as able to accomplish without comparison or competition with others. They look for different ways of doing and achieving a goal rather than follow what others are doing. This means they are less likely to cut themselves off from getting what they need. Seeking advice to help yourself is a good thing, but people who are unsuccessful tend to take free or cheap advice from unqualified peers at face value and rarely question or challenge it. The downfall of this is, they’re completely trusting what could be wrong or unhelpful advice meaning it could lead them down the wrong path. Rich or successful people are likely to seek out expert advice and aren’t afraid to spend money on getting the best there is if it means gaining more success. Expert advice means a thorough, wider variety of options and is seen as more of an investment rather than an expense if it means being on the road to achieving success. Similar to the above point, poor people have a mindset of always trying to find the cheapest deal. Take buying clothes as an example – always heading to the cheap, bargain section and buying a few items may seem like you’re saving money but most of the time you may not even end up wearing the clothes. Making these decisions from a mindset of lack can end up costing you more. Rich people will invest more and make more conscious decisions about what they’re buying – not necessarily for the cost but the longevity and investment in what they’re buying. They will more likely buy an expensive item of clothing knowing it will get good use than waste money on deals. People who spend a lot of time being distracted by watching TV or other forms of digital entertainment are taking away their time to invest in growth and critical thinking that could lead to becoming more successful. They are less likely to read books or enrol into courses opting to find distraction instead. The abundance mindset is shaped by little distraction and rather by getting involved in activities that better yourself and help you see different perspectives. Knowledge is power and taking control to understand yourself, your abilities and your capabilities rather than get distracted will give you more opportunity to develop the abundance mindset and gain success. So, it doesn’t matter where you’re starting regarding the amount of money you have; it’s about your attitude and mindset. A mindset and perspective of lack will only bring you more of the same so why not turn that around? Get into the habit of thinking from a space of abundance and see how it changes, not just your money situation, but your life as a whole. 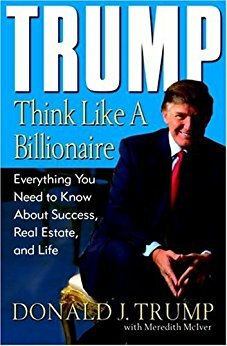 1 Response to "Think Like a Billionaire: How to Get Rich Even If You Don't Have Much Now"
Nice Post i love site with latest pls post more! To make me invite my friends and family!